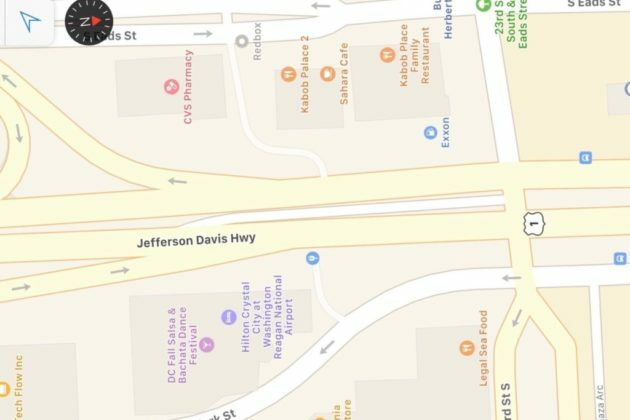 Arlington officials remain stymied in their long push to rename the section of Jefferson Davis Highway running through the county — but you’d never know it by glancing at Google Maps. 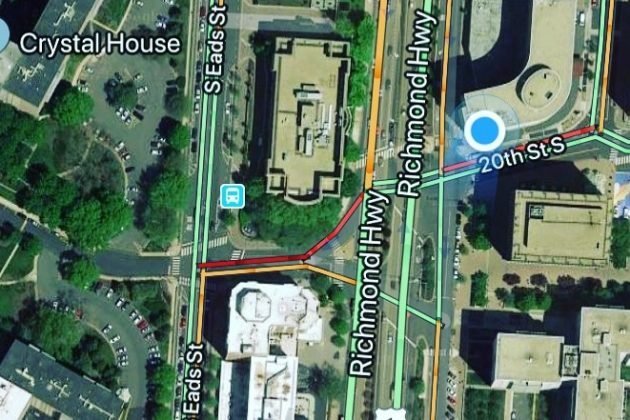 The tech company’s virtual atlas now identifies Arlington’s section of Route 1 as “Richmond Highway,” dating back to at least Friday (Jan. 11). An ARLnow reader, who asked to remain anonymous, first noticed the switch. That matches the new name Alexandria leaders picked for the road last year, stripping the Confederate president’s moniker from the highway. Arlington’s County Board is anxious to make a similar change, but a complex provision of state law currently bars it from doing so — Attorney General Mark Herring’s office issued an opinion clarifying that cities like Alexandria have the authority to change the names of state roads within their boundaries, but counties don’t. 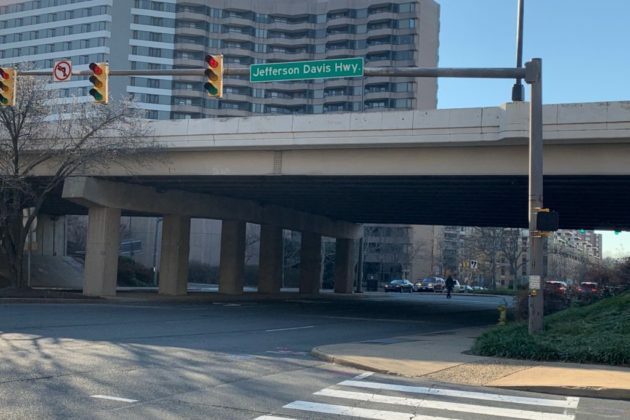 Accordingly, signs around Crystal City and Pentagon City will still bear the “Jefferson Davis” name for the foreseeable future, but many people looking up the road online would never know it was there. Apple Maps users, however, will still see the Confederate president’s name on the highway, as of today (Tuesday). The swap will surely come as good news for the Board, which recently urged state lawmakers to renew old efforts to pass a bill giving the county the power to change the name on its own. The impending arrival of Amazon in the neighborhood added some urgency to that push, given the company’s stated commitment to inclusivity and diversity and Davis’ connections to Virginia’s slaveholding past. But Arlington legislators say they likely won’t raise the issue in this year’s new General Assembly session. Sen. Adam Ebbin (D-30th District) initially signaled that he could be willing to back legislation on the matter this time around if the local business community, or perhaps some Republicans, came on board with the issue. But without that backing, he’d rather wait to see if Democrats can seize control of the legislature in this fall’s elections first. So far, his prediction has proven to be correct — as of Tuesday, no legislation on the topic has been filed down in Richmond.